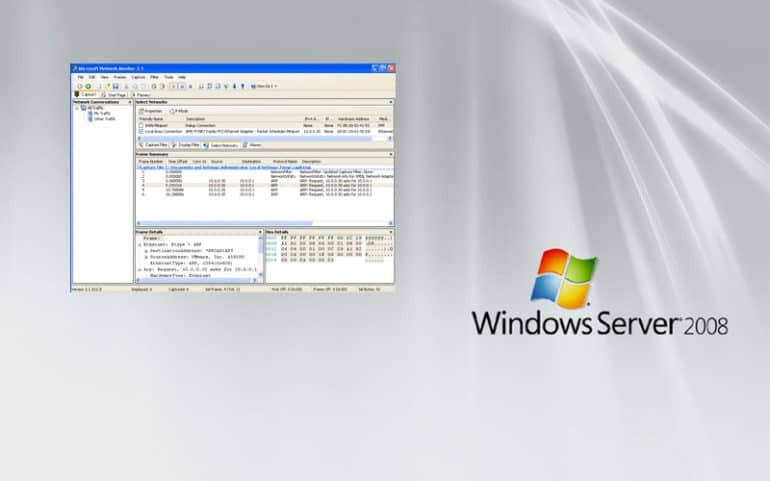 Today we're going to show you How to monitor and collect Traffic on a Windows Server 2008 quickly and easily using a couple software programs that will automate most of the process for you as a network engineer or administrator. We've also Recently compiled a list of Server Monitoring Tools to Help Automate this Process here! As many of you know, its beneficial to track all inbound and outbound traffic to and from a Windows 2008 server in order to see whats really going on in the network and to diagnose potential bottlenecks in your infrastructure that can be caused by either hardware or software issues. In order to get this process started, head over to Microsoft and download “NetMon“, or Network Monitor from Microsoft. 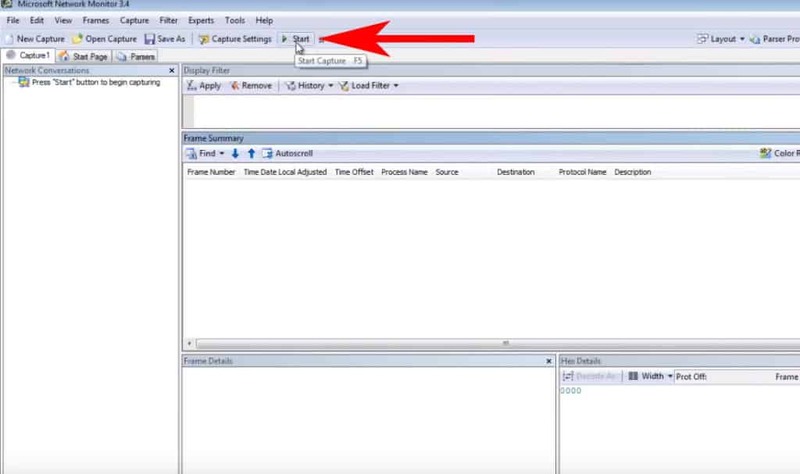 This will allow us to see all inbound and outbound traffic coming to and from your Windows 2008 Server in your network. After you've installed NetMon on your Server, we'll walk you through the steps of monitoring traffic on your server and see which users, IP addresses, and programs are consuming the most bandwidth in your network. 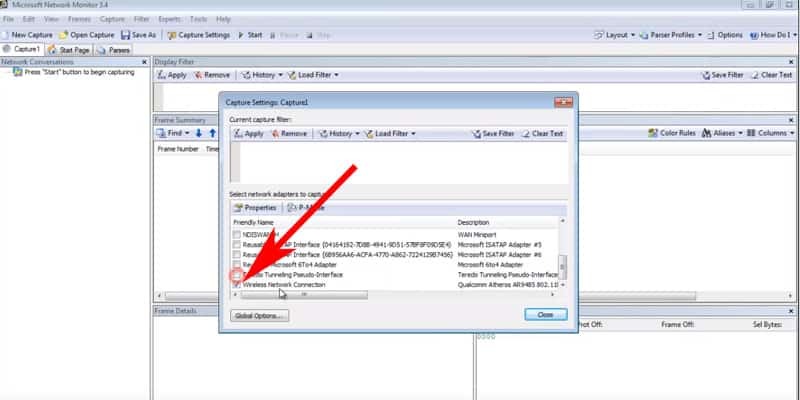 Note: If your network has Low bandwidth, or not very many clients using it, you can use a Network Traffic Generator (or a Netflow Generator) to simulate traffic on your LAN/WAN. >> Grab the FREE Real-Time Bandwidth Monitoring Tool from Solarwinds to keep an Eye on Traffic! Let's go through the Process of getting NetMon configured to analyze IP traffic on your Server. Open up “NetMon” program from your Start Menu. Once the new Capture window shows up, Click the “Capture Settings” button as seen in the below screenshot. When the Capture Settings window comes up, Un-check all the Network Adapters you Don't want to monitor and only leave the Network Adapter checked that you want to Monitor. (Most servers have multiple network interfaces). Then click the “Close” button. You can now click the green “Start” button to start capturing traffic on the Network. At this point, you will start to see all Traffic and Process on the left side and in the middle “Frame Summary” window, there will be a continuous list of programs, IP addresses, Protocols, Source/Destination addresses and more information about the traffic coming in and out of the interface on that particular server. Learning to detect and analyze Network Bandwidth and Traffic on Server 2008 is a great way to see what kind of network overhead your server and infrastructure is processing and then figure out ways to diagnose any problematic programs, processes and potential thwart outside threats that could be looking to infiltrate your network. Monitoring networking resources is also a good way to plan for growth for the future – if you are seeing that your Server is not able to handle the kind of demand your users are asking out of it, then it might be time to upgraded to high-throughput machine or considering upgrading your existing network hardware. We highly suggest that you use a Network Monitoring system in order to get a full overview of whats going on in your network at all times. These software systems not only manage multiple Windows servers, but also have the ability to collect data from Network devices such as switches, routers, firewall and other networked devices. Knowing How to properly manage traffic on Windows 2008 Server and monitor bandwidth consumption is a good way to keep a hawk-eye on your network. We hope this article has assisted you in your end-goal.